The New Jersey Devils came two victories short of winning the fourth Stanley Cup in franchise history last season, but a key member of that run no longer is with the organization. How the club overcomes the loss of Zach Parise via free agency certainly will go a long way in predicting their playoff fortunes. While it may be the million-dollar question, it's one coach Peter DeBoer doesn't seem too concerned about. The second-year coach is confident his club can overcome the departure of last season's captain (who signed with the Minnesota Wild) and, in the process, build upon last season's success. "[Parise] was obviously an important part of our team, but this League allows you to feel sorry for yourself for about two minutes and then you have to pick yourself up and come up with a plan moving forward," DeBoer said. "I think that's where we're at now … moving forward." 1. How will the Devils overcome the loss of Zach Parise? DeBoer and general manager Lou Lamoriello have stressed that no one player can replace what Parise has done for the organization. 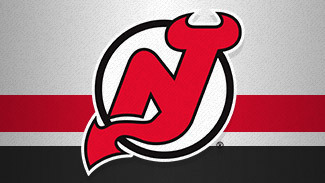 Still, the Devils never were regarded as a one-man team and never will be. Parise had 31 goals and 69 points in 82 regular-season games last season, his first as captain. He was sixth in the League in playoff scoring with 15 points -- including eight goals -- in 24 postseason games. While it is true Parise is irreplaceable, let's not forget that the Devils were without top-line center Travis Zajac for all but 15 games last season after he suffered a left Achilles tendon injury in August. "Zajac missed the entire season, [Ilya] Kovalchuk went down in Game 2 of the Philly series when we were down 1-0, but we played one of our best games of the year [in Game 2], so that's the mentality here," DeBoer said. "We have to carry that into next year without Zach." Parise, taken by the Devils with the 17th pick of the 2003 NHL Draft, had 194 goals and 216 assists in seven seasons with the club. 2. Who's the next captain? There are a few strong candidates, including Patrik Elias, who actually wore the "C' in 2006-07, and Zajac, but the guess here is the team names a defenseman captain for the first time since Scott Niedermayer in 2004. Bryce Salvador, who missed the entire 2010-11 season with a cochlear concussion, signed a three-year contract worth $9.5 million in the offseason and couldn't be happier. He's spent the last four-plus seasons with the Devils and was one of two defensemen to play in all 82 regular-season games in 2011-12. He is a consummate team leader on the ice and within the locker room. It doesn't hurt that he is also very cordial with the media. "To have the Devils value me as much as other teams [during free agency] made my decision easier," Salvador said after re-signing with the team. "Where I'm at in my career, it's not about the money. The Devils have been a great fit for me. It would've taken a lot to keep me from being a Devil." 3. Can forward David Clarkson repeat the 30-goal season he had last season? Clarkson had a career year playing again for DeBoer, who coached him in junior hockey with the Kitchener Rangers of the Ontario Hockey League. He was third on the team with 30 goals and fifth with 46 points. He led the Devils with a career-high seven game-winning goals and finished tied for second with Elias with a career-best eight power-play goals In addition to those impressive offensive totals, he led the team with 138 penalty minutes, proving he still possessed an ornery side. In the playoffs, Clarkson finished in a five-way tie for first in the League with three game-winning goals. There's no reason to believe the 28-year-old right wing couldn't equal if not surpass his regular-season totals in 2012-13. He'll certainly be a player relied on heavily this season. 4. Is this the year Mattias Tedenby makes an impact? The 24th pick in the 2008 NHL Draft split the 2011-12 campaign between the NHL and the American Hockey League, seeing action in 43 of the first 46 NHL games. The 5-foot-10, 175-pound Swede had one goal and six points in the NHL and four goals and 18 points in 32 AHL games. A good preseason could put Tedenby in a position to fill in at left wing alongside Zajac and Ilya Kovalchuk. When asked about players expected to have an impact, Lamoriello mentioned Tedenby as a player to watch for 2012-13. "You're always hoping to see a diamond in the rough, but you're not going to fill Zach Parise's spot as far as what he brought," Lamoriello said. "Tedenby has a great shot to move forward. He's got all the tools and he's spending a very [workmanlike] summer back home with Adam [Larsson] and [Johan Hedberg]." 5. Is defenseman Adam Larsson ready to take that next step? The 6-foot-3, 200-pound blueliner had a solid rookie season, tying for second among first-year NHL defensemen with 16 assists, and he was fifth with 18 points, in 65 regular-season games. There was speculation that the fourth pick of the 2011 NHL Draft might have lost a step after taking a hit from Montreal defenseman P.K. Subban in a Feb. 2 game at Prudential Center. Larsson missed the next 10 games with a bruised lower back, and upon his return had two assists and a minus-1 rating in 16 games. He was a healthy scratch for five of the team's last six regular-season games and for the first eight playoff games. Consistency might have been the reason DeBoer preferred other options down the stretch and in the postseason, although Larsson did notch a goal and a plus-3 rating in five postseason games. The expectation is for Larsson to have a greater impact along the blue line this season. 6. Can the Devils return to the Stanley Cup Final? DeBoer certainly brought out the best in his team when it mattered most. He was able to adjust on the fly and from game to game. His stressed the importance of winning puck battles and his team played as a five-man unit throughout the opening three rounds on the way to eliminating the Florida Panthers, Philadelphia Flyers and New York Rangers. The Devils frustrated the opposition to no end with a relentless forecheck and they consistently outnumbered their opponents to loose pucks while creating countless scoring chances off neutral-zone turnovers. The players bought into DeBoer's system and it showed. On top of that, the ageless wonder in net, Martin Brodeur, won 14 playoff games while sporting a 2.12 goals-against average and .917 save percentage. New assistant coach Matt Shaw, who spent the last three seasons with the San Jose Sharks, put the Devils' playoff run in perspective. "The thing that stuck in my mind most was how resilient [the Devils were]," Shaw said. "I've watched this team go down by one or two goals early in games a number of times, and you turn your head and next thing you know they've tied it or gone ahead." Shaw admitted he was able to watch many of New Jersey's playoff games last season because the contests began earlier on the West Coast. "Their resiliency early in the year set up a level of confidence in the playoffs," he said. "They weren't a one- or two-line team, they had depth on defense, and the goaltending. In the playoffs you always need some unusual suspects to do some things and they certainly had that with a number of different guys that were always big boosts. That's what you need to have a deep playoff run."